Yves Decary - where do I start? He always has a ready smile on his face and a welcoming hug. I can no longer remember the first time we met, but was impressed right from the start with his positive energy. 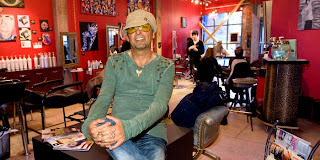 His boutique salon - L'Atelier - has this same energy and is so much more than a hair salon. I have often said, "If you want to have a better city you need to work for it." Decary does. He is a supporter of all things local and uses his salon to great effect. Works of local artists hang on it's bright red gallery walls ready to connect with a local buyer and numerous fundraisers are held here. Want to know more? Check out my Behind the Scenes article published in July 2011 in Fame'd Magazine. 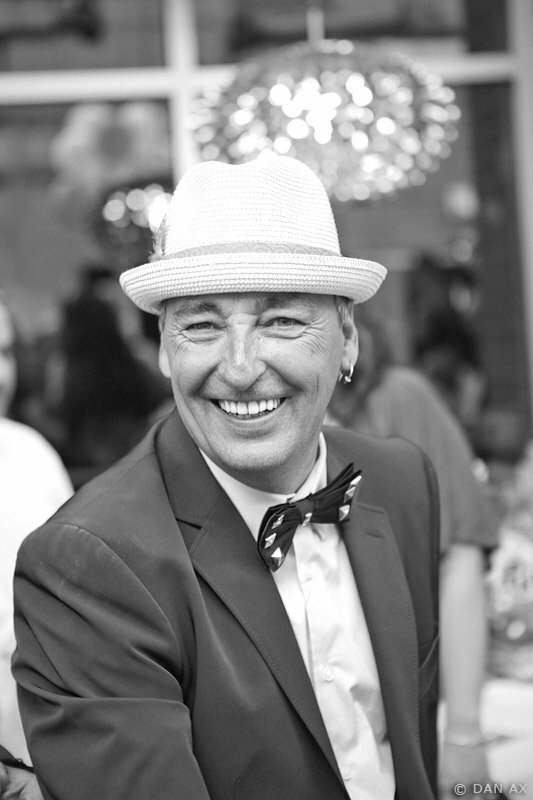 After 20 years immersed in the Montreal scene, Yves Decary left it all behind. One Saturday he walked out of his successful salon and hopped on a bus to Vancouver with only a backpack for company. During the three day trip he had time to ponder his options, but on arrival, the city's scenic beauty quickly sealed the deal. It only took a few phone calls to Montreal to sell the business and give his belongings away. His one request? They had to pack his extensive wardrobe and ship it here. Vancouver was now home. Decary excelled at art in high school and early on developed a love of fashion. After graduation, friends in the hair industry exposed him to the business and it proved a great fit. "I liked the vibe and the fashion side of it. I'm also a very social person and enjoy the direct contact with clients." One early job was at a cutting edge salon in the heart of Montreal - the first that was unisex. It was the 70's and men had long hair needing a proper stylist. Surprisingly, the local hair association had a bylaw banning unisex salons and several times a year issued them a fine, but the concept was so successful it was worth the additional expense. Three years later Paris called. When a three month internship with Jacques Dessange opened up, Decary was quick to accept. It was an amazing experience for the young stylist. "At the time Montreal was a village compared to Paris." Most eye-opening was the European concept of "Chic." On his return to Montreal, he accepted a position at CBC -Radio Canada - where he worked for 12 years. From minor hair styling for politicians like Rene Levesque to extravagant opera coifs, the diverse assignments kept him challenged. One highlight was being honoured with a Juno nomination for his work with Sir Wilfred Laurier - a year long production shot in Napoli. He is also proud of being chosen to style hair for a Canadian demo shown at the United Nations. "It was 1984 and TV was going digital. Every country had to produce a demo. I styled an opera singer with perfect hair on one side and frizzy on the other so they could see the difference in quality." Work with Buffalo Jeans, Schwarzkopf, Genius Jeans, Ton Sur Bon and Scoop Modeling also kept him busy. Then cutbacks during the Mulroney era shut down most local productions. Decary traveled for a year and then headed back to Montreal to open Smash Hair. 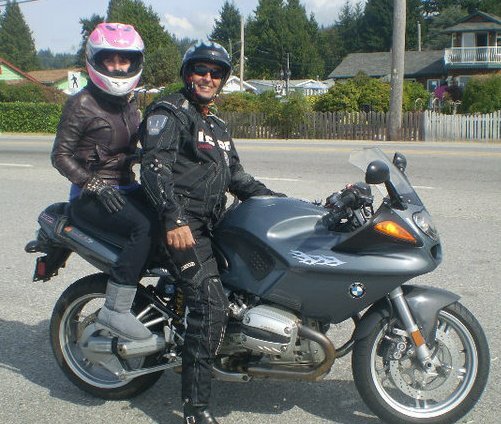 He spent ten years at the helm of this thriving business, but at 40 hit a mid-life crisis. "I was tired of running a large salon. I wanted a new challenge, a new life, and I started it with just a backpack." Three months after arriving, a friend took him to the Yaletown Brewery for lunch. He decided the area had the perfect ambiance for his next endeavor - L'Atelier. This time he wanted a small, boutique hair salon. With the help of two assistants, he worked the first few years as the only stylist. Only three years after opening, L'Atelier was listed in Fashion Magazine as one of the top five boutique salons in Vancouver. When Decary was ready to add a few stylists, it was a slow process. "I didn't want to just have employees, I wanted the right ones. First I looked for personality. Next they had to be passionate. It's a lot of work and you need to love it." This created a close-knit group of artists who to set aside one night a month for in house training where they can push themselves creatively. The salon is also well known for their client consultations. The stylist starts with what you like and don't like about your hair. Then they adjust current hair trends to make them appropriate for your age and lifestyle. Because integrity is important, the salon will not accommodate a client if they feel strongly the request is a mistake. Decary has seen the industry evolve in many ways. The onset of Social Media in particular has changed the marketing landscape. Less harsh chemicals are being developed. New colors are always being released and hair color has gained a new widespread popularity. "Ten years ago I never did color like I do now. People with natural color are rare." Lastly, with styles becoming a bit retro, he is expecting a return to big hair - not the same as before, but in an updated and easier to maintain incarnation. Three years ago Decary began to paint. "I met a lot of artists in the studio and wanted to support them, so now the salon is a gallery with paintings, jewellery and clothing." Charity efforts are also an important focus and there is one he is particularly proud of. "During the Vancouver Olympics the salon held a fund raiser for earthquake victims in Haiti that raised almost $10,000 in nine hours. The event was by donation and we had Alex Burrows, Kevin Bieksa and Steve Bernier of the Canucks signing autographs. The amazing response of the public and the chance to do something for someone else was the best moment in my career.". For more information on L'Atelier Hair Boutique go to www.latelierhair.com.